Accused of bowing to Chinese pressure on Uighur leader Dolkun Isa, India on Thursday defended its decision to revoke his visa, saying that Isa had "suppressed" facts while obtaining it but admitted that China had made its position clear to New Delhi that it should honour the Interpol Red Corner notice against him. "Isa applied for a tourist visa under the electronic travel authorisation system. He was accordingly granted the visa. After obtaining the visa, Isa stated publicly that he was coming to attend a conference in India. A fact which was suppressed in the visa form and something that a tourist visa does not permit. "Further more it came to the notice of authorities that Isa was subject of a Interpol Red Corner notice," External Affairs Ministry Spokesperson Vikas Swarup said. Asked if China had raised its objection on granting of visa to Isa by India, he said, "They made their position clear that Isa has a Interpol Red Corner Notice and all the countries which are member of Interpol should honour that." However, the spokesperson rejected the charge that visa revocation was done under Chinese pressure, saying the facts were "suppressed" by Isa and that led to revocation of his visa and no other "meaning" should be read into the Indian action. Visa policies are very clear and if a bonafide applicant obtains visa based on furnishing correct information and after following due process, there will be no cause for any revocation, he added. 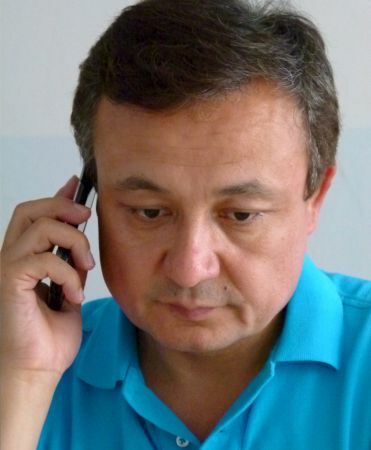 The visa to Isa, a leader of World Uyghur Congress who lives in Germany and had been invited for the conference being organised by US-based 'Initiatives for China' from Thursday, was cancelled earlier this week. The India action was seen by many as buckling under the Chinese pressure.